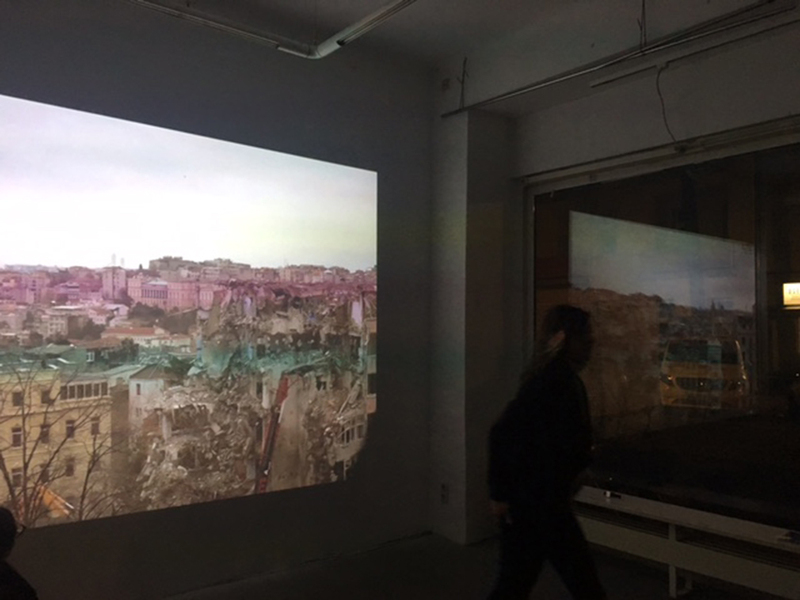 It is a series of videos which depict the demolition stages of a building. During this demolition the site transforms into an additional room of the house. 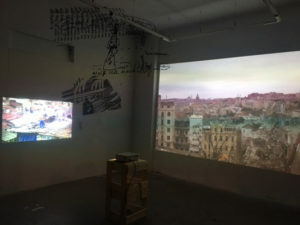 The daily action and dialogues indoors become entwined with the visual-audio happenings outside. Throughout this demolition witnessed up close, the window of the house functions as a screen, a showcase. 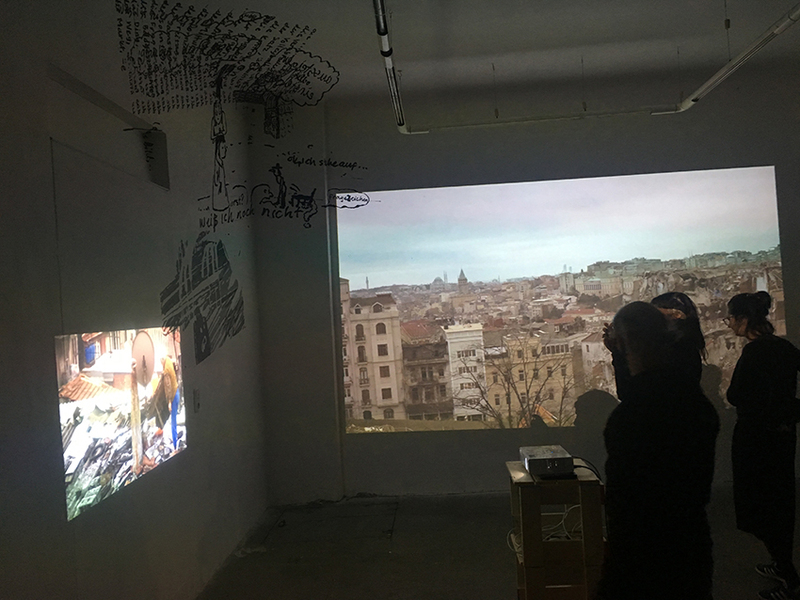 This video installation focuses on the common representation of ‘the street’ in the ‘neighbourhood comedies’ -a sub-genre in Turkish Cinema. In Turkish the word ‘street’ has the connotation life outside the house. 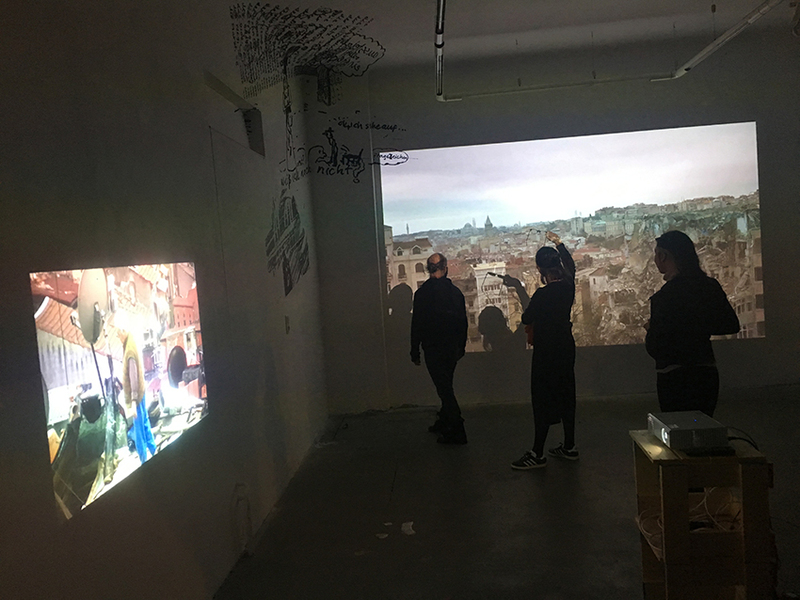 The installation explores how the street is represented in these movies as an area of socialisation, and how ‘neighbourhood’ is defined. The footage is gathered from Turkish movies produced between 1960 and 1985; a period referred to as Yeşilçam. This term also entails a certain genre and a certain means of production. The footage consists of shots of people in windows, either looking at or talking to someone. The aim is to create a facade of a building by laying these shots on top of and next to one another. 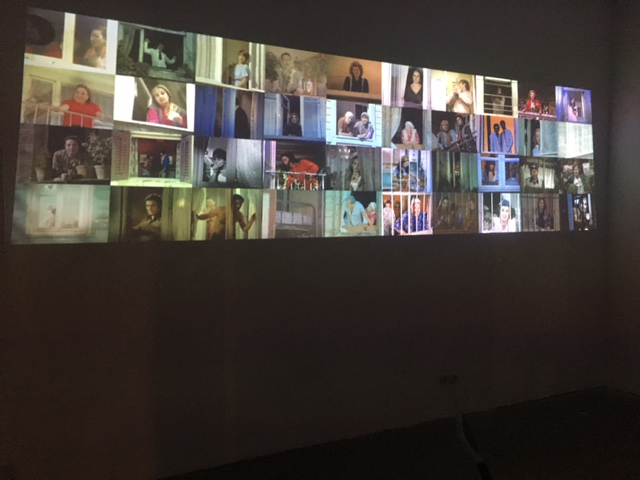 The video also explores gender definitions in Yeşilçam movies by assembling footage of different representations of female characters. This site spesific drawing installation is now on progress. The starting point of the work was a notebook kept by Ceren Oykut while she has been learning german. The doodles between the handwritings give the clues of the new coming works. She is now building a new house on the corner of the ceiling and the walls like a spider while she is learning a new way of living with a new language.